Contents: Introduction: why managing quality is essential in project management; Fundamentals of project management; The definition and dimensions of project quality; The application of the guidelines of project quality in bodies of knowledge; Project success criteria and success factors; Project excellence and maturity models; Operational excellence concepts in major projects; How project quality and project excellence are practised: an empirical study; Heathrow Terminal 5: case study; Channel Tunnel Rail Link, High Speed 1 project (HS1): case study; Implementation: how to make project quality and project excellence happen; Appendices; Glossary; References; Index. Dr Ron Basu is the founder of the consulting company, Performance Excellence Limited and a Visiting Professor at SKEMA Business School in France and a Visiting Fellow at Henley Business School, UK. Ron is the author or co-author of ten management books including Managing Project Supply Chains (2011). Project management has become a key competence for most organisations in the public and private sectors. Driven by recent business trends such as fewer management layers, greater flexibility, increasing geographical distribution and more project-based work, project management has grown beyond its roots in the construction, engineering and aerospace industries to transform the service, financial, computer, and general management sectors. In fact, a Fortune article rated project management as the number one career choice at the beginning of the 21st century. Yet many organizations have struggled in applying the traditional models of project management to their new projects in the global environment. Project management offers a framework to help organisations to transform their mainstream operations and service performance. It is viewed as a way of organising for the future. Moreover, in an increasingly busy, stressful, and uncertain world it has become necessary to manage several projects successfully at the same time. According to some estimates the world annually spends well over $10 trillion (US) on projects. In the UK alone, more than Â£250 billion is spent on projects every year. Up to half of these projects fail! A major ingredient in the build-up leading to failure is often cited as the lack of adequate project management knowledge and experience. Some organizations have responded to this situation by trying to improve the understanding and capability of their managers and employees who are introduced to projects, as well as their experienced project managers in an attempt to enhance their competence and capability in this area. 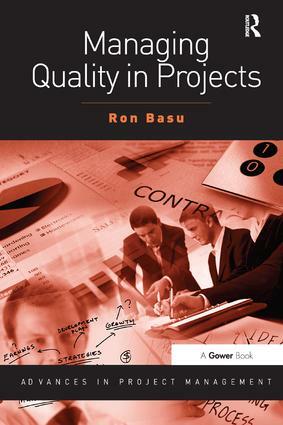 Advances in Project Management provides short, state of play, guides to the main aspects of the new emerging applications including: maturity models, agile projects, extreme projects, six sigma and projects, human factors and leadership in projects, project governance, value management, virtual teams, project benefits.